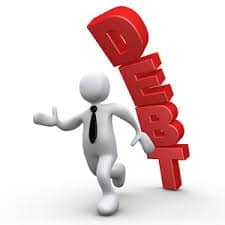 It is essential to ensure that the debt cancellation agreement you choose to implement has the necessary components to provide finalization of debt relief without any loopholes. Intercompany Agreements are documents used to define how sales or transfers of goods and services by businesses owned by the same company are handled. An engagement agreement is a written agreement between an attorney and a client, or a business or service provider (such as a consultant) and a client that defines the scope of the anticipated project in advance of the commencement of any work or services. It is important to note that farmout agreements are distinct from conventional transactions between lessees in the oil and gas industry. How many different types of Patent Agreements are there? Patent license agreements are an especially complex type of agreement as they incorporate two areas of law: contract law and torts. Traditionally, advertising agreements or advertising contracts are best described as an agreement between a supplier of advertising time or space, such as a communications media representative or the communications medium itself, and an advertiser. A technology company who outsources their customer support to a call center company in another state or country would use this type of agreement. This agreement is also often used for financial responsibilities. Whether you are a small business or a part of a multinational corporation, utilizing an employment separation agreement is always good idea. A lease addendum is an additional agreement added to a previously executed lease.